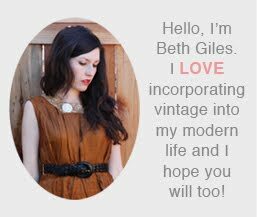 Vintage Clothing Blog | Vintage Wedding Dresses | Salvage Life: Yeah for Birthday Hair! Just in case you were wondering what Katie is doing when she's not modeling for Salvage Life...here are some pics of Katie at her day job. 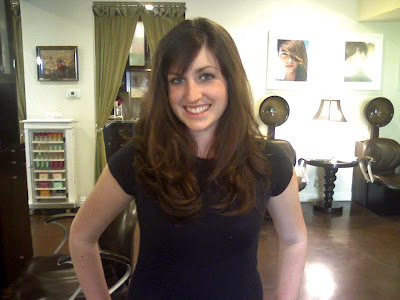 Katie is a fabulous hair stylist! 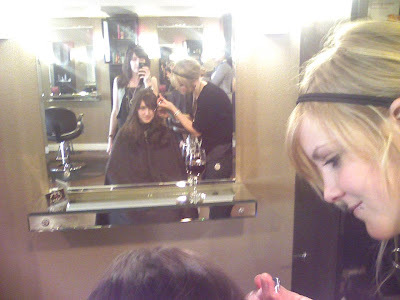 On Friday I took my sister Amy to Bella Salon for a very belated Sweet 16 present. 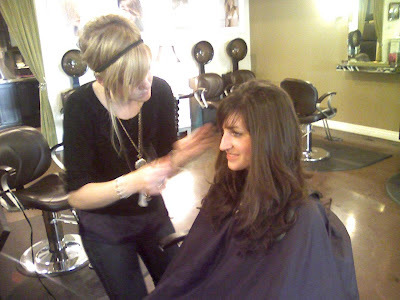 Doesn't her hair look amazing?!!! After she got her new birthday hair we went to La Creperie Cafe on 2nd St. in Long Beach and ate the most delicious dinner and dessert crepes! Happy Birthday Amy! You're gorgeous.